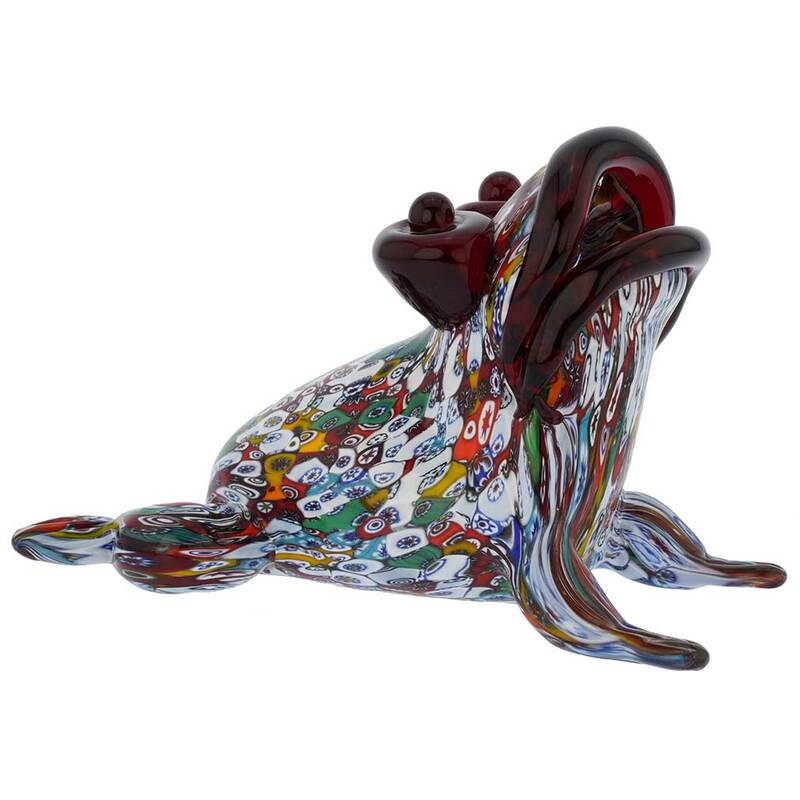 This charming Murano Glass frog sculpture represents the long-running artistic tradition of Murano Glass combined with ingenuity and technical virtuosity of Murano glass masters. Using the most famous and distinctive ancient Murano glass technique- Millefiori (a thousand flowers), Murano masters created this graceful turtle sculpture with the body of vivid stylized flowers and the eyes and lips in rich ruby-red glass for a striking artistic effect. 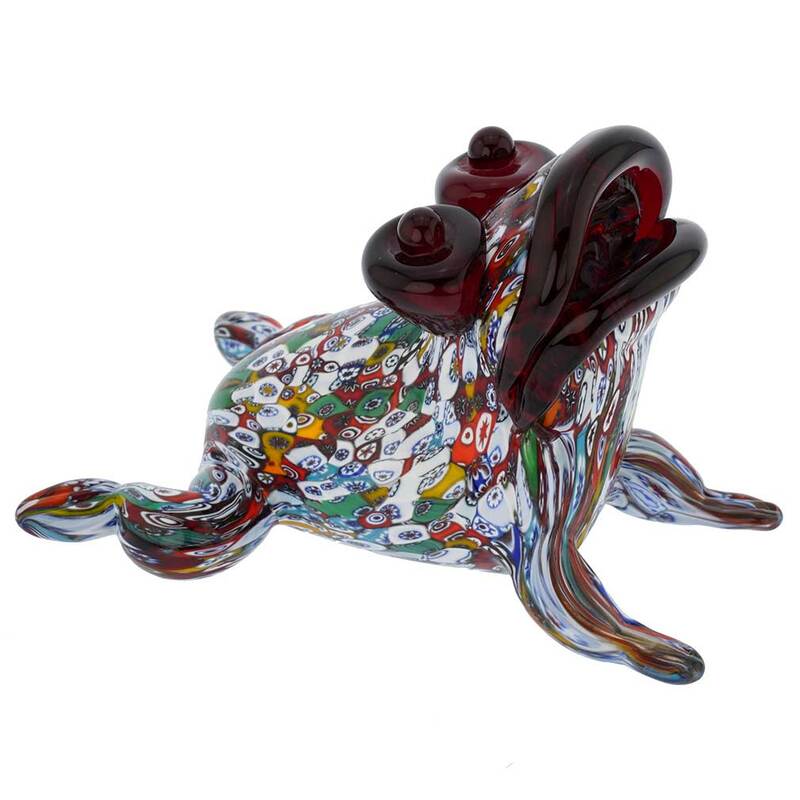 As a highlight of the skill of Murano Glass maestros, the frog is mouth-blown, featuring a hollow body. It can be used not only as a beautiful design element, but also as a pen holder or an incense sticks holder. 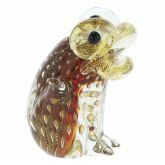 This beautiful authentic Murano Glass frog was painstakingly blown using only traditional glass-making methods by a third-generation Murano maestro, whose work is displayed at exhibitions and in museums worldwide. It will make an enjoyable artistic addition to any home or office and afford a glimpse of Venetian beauty and opulence. 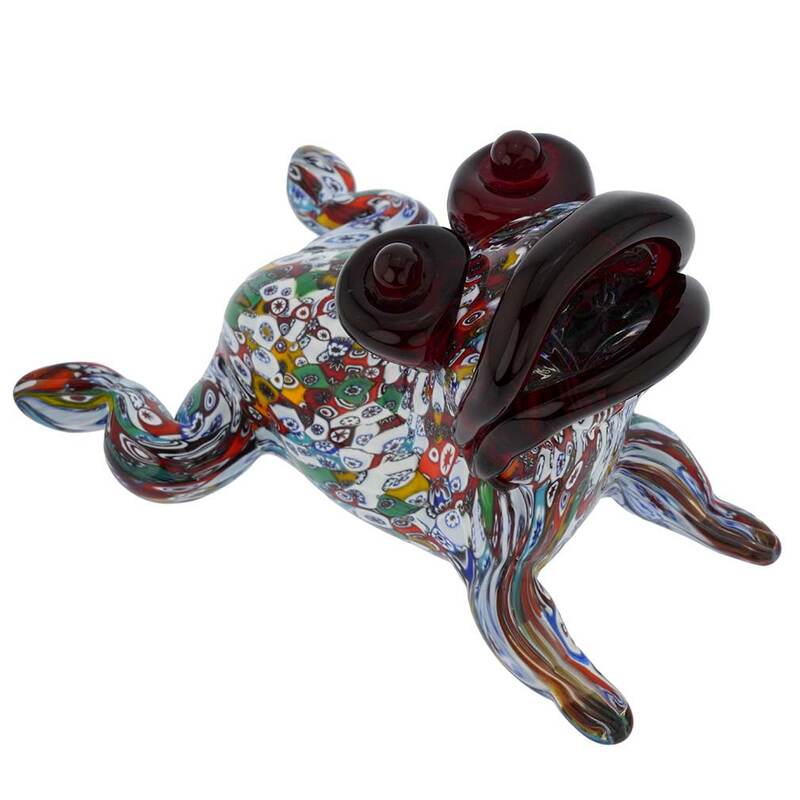 This whimsical Murano frog sculpture also makes a uniquely appropriate luxurious gift for any occasion, as it is truly a one-of-a-kind piece of art. The Venetian frog is approximately 4 inches tall and 6 inches long. This Murano Glass sculpture is signed by the master. Attached sticker further proves its Murano origin, as does the certificate of authenticity that comes with the frog.